What is Propofol and What Purpose Does It Serve? Our doctors often use sedation for patients undergoing endoscopy procedures to help relieve anxiety, reduce discomfort during the procedure, and reduce the patient’s ability to remember it. For patients needing moderate sedation (you can be aroused at any time) or deep sedation (you are completely asleep) during their procedure, we often use a drug called propofol. Propofol is fast acting so you go to sleep quickly. It doesn’t make you nauseous, and it is short acting so it requires a shorter recovery time than traditional sedation or anesthesia. This allows you to go home sooner after your procedure and return to your normal activities. When you have a procedure by one of the board-certified physicians at Digestive Health Associates, your doctor will determine the best form of sedation or anesthesia for you depending on your health history and the procedure. If you have any questions about propofol or another form of sedation, please don’t hesitate to ask. What are the Merits and Drawbacks of Propofol Sedation? If propofol is administered during your GIE procedure, the onset of action is less than one minute and post-recovery and discharge periods are faster compared to when traditional sedative agents, like benzodiazepine are administered. 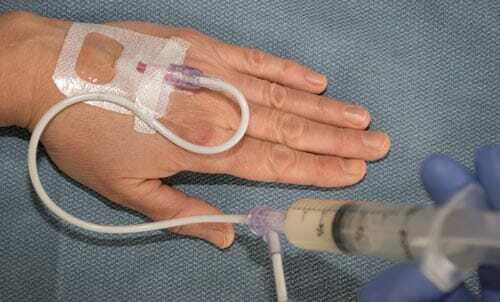 Propofol is also thought to be safer and a more cost-effective sedative compared to conventional anesthetics. However, propofol has the potential to cause rapid change in sedative depth without antidote, and has demonstrated marked synergy if other drugs are administered during procedure. Propofol has the potential to cause apnoea, respiratory obstruction and hypertension. Depending upon the level of sedation required for your procedure, our highly trained team of doctors at Digestive Health Associates of Cheyenne will work with you to determine if propofol sedation is a safe option or if traditional anesthesia with tracheal intubation is recommended. All sedative plans and procedures are evaluated on a case-by-case basis to determine the best approach for you.